What if you reduce those fine lines and wrinkles around your forehead, eyes, and mouth*? What would you say to reducing sun damage, persistent acne scars, and bothersome moles*? And suppose you could reduce blemished, baggy, or blotchy skin, all without the need for laser resurfacing*? The technique is called Portrait® Plasma Skin Regeneration. More than just a resurfacing procedure, it’s an effective rejuvenating treatment. 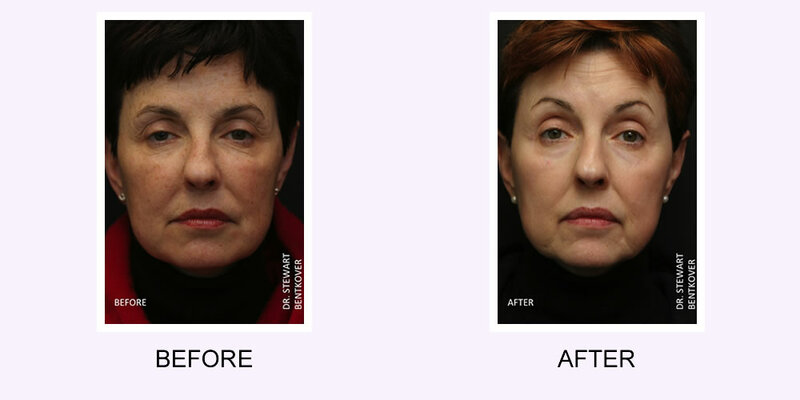 The results of Portrait Plasma Skin Regeneration are stunning, and actually improve over time*. Immediately after the treatment, skin appears tighter and more toned*. Even after treatment, the regeneration process continues for up to one year*. Patients notice the resurfacing effects: scars and sunspots diminish, wrinkles and fine lines fill in, and saggy skin regains supple tone*. Plasma Resurfacing is the first and only treatment clinically proven to regenerate skin*. This unique process of regeneration works deep below the skin’s surface, rebuilding the skin’s architecture. The results are dramatic and even improve over time as new skin progressively replaces the old*. This treatment features the benefits of traditional laser peels without the risks or downtime. How does plasma resurfacing work? Plasma resurfacing is a non-contact method, which features a small stylist used to transfer nitrogen plasma energy to the architecture of the skin, promoting uniform regeneration of your skin. This technique preserves the skin’s outer layers, which act as a protective dressing until new skin regenerates. Plasma Resurfacing has been proven safe in clinical studies. It uses no intense light radiation, as with laser treatments (which have been associated with scarring and often extended periods of downtime). What can you expect from a plasma resurfacing treatment? The treatment is brief and generally takes about 15 minutes*. You may experience a localized sensation of heat during the brief procedure. A topical anesthetic may be applied before the treatment. You will see improvements in skin texture, tone, and reduction in wrinkles after one treatment, and continue to see results progressively improve over time*. As each day passes, your complexion will appear younger and healthier, with improved contours and enhanced overall appearance*. Clinical studies show that this improvement progression continues for at least one year after treatment*. Recovery usually takes from one to two days, up to a week, for skin to look normal with or without makeup*. Skin will look tighter, younger, and healthier, and will have a smaller appearance of wrinkles a few days after the procedure*. Your skin will continue to improve throughout the year*. Ready for more beautiful, vibrant skin*? Request more information or contact us today!